An Amtrak employee was paid more than $850,000 to act as an informant for the DEA over the past 20 years, but none of the information that was received was new to the federal agency, USA Today reports. 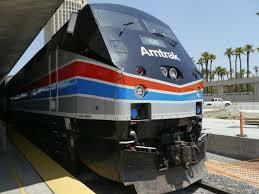 The employee was assisting a task force aimed at identifying drug trafficking on the passenger train system. The DEA has been long accused of failing to provide oversight of about 240 confidential informants. Posted: 1/8/16 at 8:57 AM under News Story.